Mental health is not defined simply by the absence of mental illnesses or disorders. Mental health involves a balance of the physical, mental and emotional state of being in which all individuals are able to live happy, productive lives, and cope with life's normal stresses and negative experiences. Sadly, that isn't the case for more than three million young Canadians between the ages of 12 and 19, who are at risk of developing serious depression. And only one in five young Canadians who need mental-health services will receive the support they need. "When children and youth don't get the mental-health care they need, the consequences are immense," Jane Philpott, Canada's former health minister, has said. "Untold anguish, further mental illness and health-care costs, the inability to continue work or school programs, substance use disorders, violence and incarceration – plus the heartache of families who know something is very wrong, but feel desperate and powerless in the face of the suffering of loved ones." From anxiety disorders and attention-deficit hyperactivity disorder (ADHD) to depression, eating disorders, substance abuse, suicide and more, 20 per cent of Canadians will face mental-health challenges, some beginning at a young age. "This is not to mention the contribution these young people could make to society if they were able to function, or be better accepted and integrated in our communities in spite of mental-health challenges," Philpott, now Minister of Indigenous Services, has said. According to the World Health Organization (WHO), conversations, policies and practices that address mental health also need to look beyond illnesses and disorders to promote mental health in all areas and aspects that support healthy living. That is, treating mental-health challenges is one thing, but creating healthy environments in all aspects of life offer preventive methods for good health – for everyone. When is shyness an ‘illness’? Students: how stressed are you? Today, 12 per cent of females and 5 per cent of males age 12 to 19 have experienced major depressive episodes. Yet mental health accounts for only 7 per cent of Canada's health-care budget, falling well behind peer countries such as New Zealand, Australia and Britain, whose mental-health expenditure ranges from 10 per cent to 14 per cent. Among Canadian youth, suicide ranks as the second leading cause of death, with almost 25 per cent of all deaths for those age 15 to 24 attributed to suicide. (Accidents are the leading cause of death in this age group.) This is the third highest suicide rate among industrialized countries. Among Indigenous youth, the statistics are even more frightening: Suicide and self-inflicted injuries are the leading cause of death, and, according to Health Canada, the suicide rate among First Nations young people age 15 to 24 is five to six times higher than among non-Indigenous youth. "Suicidal youth are in pain," Youth Mental Health Canada shares on its website. "They don't necessarily want to die; they want their pain to end. If their ability to cope is stretched to the limit, or if problems occur together with a mental illness, it can seem that death is the only way to make the pain stop." New immigrants and refugees who experience difficult economic circumstances. Indigenous children and youth who have poorer overall health, live in isolated communities and have scarce educational and work-related opportunities (suicide rates among Indigenous youth are five to 11 times the national average). LGBTQ children and youth who experience rejection from their families and bullying. Big life changes such as moving to a new city or new school. Facing or witnessing trauma, including abuse. The stigma of mental illness often brings feelings of shame and being judged. Young people with mental-health issues feel stigmatized when they encounter negative attitudes and behaviours – either conscious or unconscious – because of their illness or disorder. Youth may face the belief from others that they are weak, difficult or unintelligent. They can experience loneliness, a sense of isolation and stereotyping. Mental-health issues affect their ability to do well in school, establish healthy relationships with peers and adults and, without appropriate support or treatment, can be a lifelong struggle. The stigma, labels and rejection can further isolate young people and hold them back from seeking the necessary health care or support. What does mental-health treatment look like? Counselling, including cognitive behavioural therapy, which helps youth recognize and change the behaviours and thought patterns that negatively affect their mental health; family therapy, which equips families to support children/youth; and other types of counselling. Support groups: Offering short- and long-term treatment that young people need. Medication: Though not required to treat all mental health issues, it is often prescribed alongside other treatment options. We can all offer community, connection, empathy, support and respectful language. The words we choose can make people feel as if they are the mental illness rather than an individual who is affected by one. For example, rather than "addict" or "junkie," it should be "someone with substance abuse disorder." Starting a conversation with a simple "are you okay" may go a long way. One in five Canadians will experience some form of mental illness in their lifetime. 3.2 million young Canadians between the ages of 12 and 19 are at risk of developing serious depression. Suicide is one of the leading causes of death for people age 15 to 24. Canada’s youth suicide rate is the third highest in the industrialized world. Depression and anxiety are both mental health issues, but almost half of those who experience them will never seek help. Only one in five young Canadians who need mental health services will receive them. Globally, about 20 per cent of children and adolescents have mental disorders or problems, with half of them experiencing the onset of their mental disorders before the age of 14. What does mental health mean to you? How would you describe your mental health? Have you encountered someone who is perhaps affected by mental-health issues? How have you treated them? How will you change how you interact with this individual after what you have learned? People who are affected by mental-health issues are often discouraged from speaking up and seeking support because of stigma. How do people, who perhaps don't understand what it means to have mental-health issues, contribute to creating the stigmas? How would you encourage them to do better? Why do you suppose young people in certain situations – such as those who are new immigrants, refugees, Indigenous, LGBTQ – are at higher risk of being affected by mental-health issues? 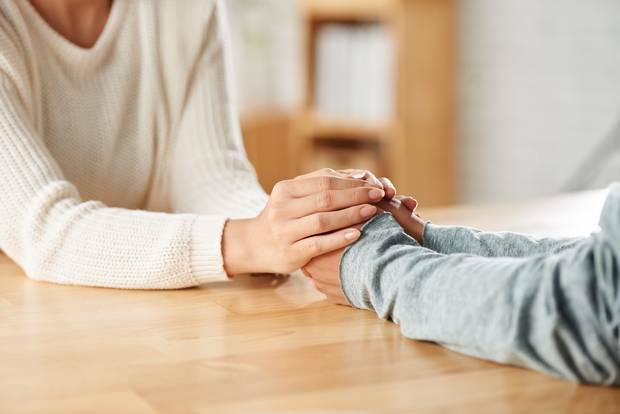 How do community, connection, empathy and respectful language offer support to those who are affected by mental-health issues? How can you play a role in this? Or, how can someone reach out to you and be supportive? How is Sam Cohen’s (the speaker) illness invisible to others? How are people “judgmental” toward those affected by depression and mental illness? Why does Sam choose to speak up? How does she describe the stigma of both mental illness as well as therapy? What examples does Sam use to share the power of language? Knowing that Sam suffers from anxiety and depression, how is this talk an act of bravery for her?